I waited a long time before introducing a kids’ music CD to the car. But now that I have, there’s no going back. Just as well we have artists in the world like Laurie Berkner. Laurie, a former preschool music teacher by day and indie rocker by night, has released Laurie Berkner’s Favourite Classic Kids’ Songs, a two disc album with 51 well-loved, traditional children’s songs and a few bonus Laurie Berkner originals. There’s so many tunes, it would be a very long car trip before you’re repeating what you’ve already heard. One, Two Buckle My Shoe, Where Is Thumbkin?, Itsy Bitsy Spider, Open Shut Them and Shoo-Fly are my daughter’s top of the pops, but I’ll admit I’m enjoying them too. Laurie’s voice is not shrill or pitchy, it’s actually lovely to listen to and the songs – tried and tested favourites for generations – are familiar and catchy. There’s a reason these tunes have been around as long as they have. Suitable for ages up to seven, Laurie herself says she grew up with many of the songs on the CD. “I’m sure a lot of parents and grandparents will remember a lot of them from their own childhoods. I’m excited about sharing these classics with kids who may not have heard them before and also introducing my versions of songs that might already be family favourites,” Laurie says. Laurie knows what appeals to mini music lovers. She started out as a preschool music specialist in the early ’90s and before she was writing her own kids’ music she sang every traditional song she knew and scrambled to discover more so she would have new songs each class. Laurie says the tunes taught her a great deal about music and reminded her of what she loved about music as child. Her music now has a new little fan in my two-year-old daughter and I’ll even happily join in the singing and all the actions with her. 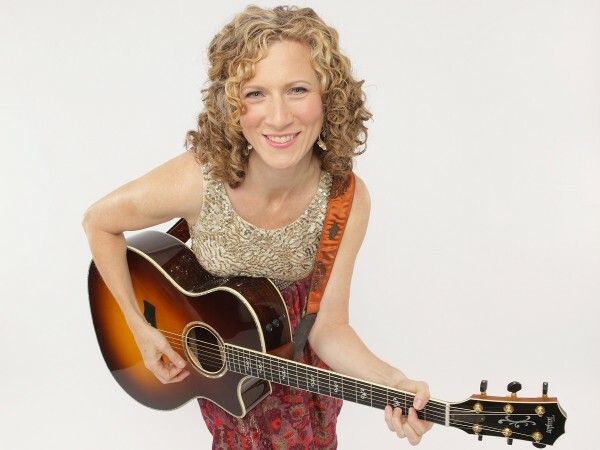 As well as Laurie on vocals and guitar, The Laurie Berkner Band features Susie Lampert on keyboard, Brady Rymer on bass and Bobby Golden on drums/percussion. The CD is available to purchase online or it’s available as a digital download for $13.